They have raised thousands of pounds for local charities by joining forces to hit the high notes in their community choir. 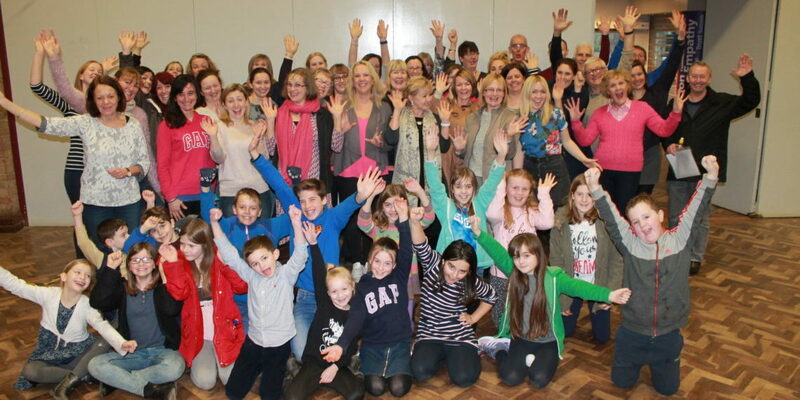 Now, Fitmums & Friends are taking to the stage for the fourth consecutive year, with 75 members singing their hearts out to raise money for Dementia UK, adding to the £5,900 raised for worthy causes over the past three years. Sewell on the go already supports Fitmums & Friends in providing ‘safe havens’ for runners and walkers at its forecourts across Hull and the East Riding. Members can stop for water or use the toilet, and defibrillators are available in specific locations should they be needed. Now, the business has helped to cover the cost of posters and promotional materials for their choir concert at Cottingham High School at 6.30pm on Saturday, March 25. Water will also be provided by Sewell on the go to help keep the singers hydrated throughout the event. Fitmum Nicola Green is one of the organisers behind the choir and said the response from those involved has been outstanding once again. She said: “You don’t have to be a Fitmums & Friends member to take part and participants range from children to grandparents. A lot of people were nervous about singing when the choir first started because they had never done it before. “There is such a lot of enthusiasm for the choir and this year is our biggest turnout at about 75 members. “We rehearse on Sunday afternoons from January to Easter because those are the colder, wetter and less running friendly months, and you don’t have to be a runner to come along. “We sing a mixture of folk songs, songs from the shows and movies with pop songs, so there’s something for everyone. Fitmums and Friends runs adult running and walking groups in Cottingham, east Hull, west Hull, Beverley, Hedon, Withernsea, York and South Yorkshire on a weekly basis. This is in addition to junior groups in Cottingham, Withernsea, north Hull and Beverley, and buggy sessions in east Hull and Beverley. New groups are planned for Grimsby, Harrogate and Bridlington in the near future. Fitmums and Friends comprises of about 800 members, including almost 100 juniors and at least 80 run leaders and coaches. Dementia UK was chosen as the charity to benefit from this year’s choir concert after it received the most votes in a members poll. Choir leader Ruth Richards, who is also part of the Fitmums & Friends family, has taught singing for many years and said: “The choir is brilliant and the great thing about it is the diversity it brings – men, women and children, and the age range is enormous. Patrick Sewell, Managing Director of Sewell on the go, said: “We are already big supporters of Fitmums & Friends and love what they do locally in the community, bringing people together. “It’s brilliant to see them expanding even further from walking, jogging and running to singing, which is always an uplifting experience for all involved. Tickets for the concert cost £5 for adults, £3 for over 65s and concessions, and £2 for children. Cakes will also be on sale and a raffle has been organised to raise additional funds for Dementia UK. To book tickets, or for more information, call Hayley Patterson on 07747010660.